The brands are finally ready to take a bold stand against willingly associating themselves with things that lots of people hate. Earlier this month Unilever threatened to yank ads from Google, YouTube, and Facebook if those companies didn’t scrub extremism, hate-speech, misleading propaganda, and disturbing child content from their platforms. And today, Bank of America said it’s launching a similar effort by hiring a “brand safety officer” who will make sure none of the company’s ads are served up next to controversial content. Bank of America senior vice president Lou Paskalis made the announcement while speaking at the Mobile World Congress conference in Barcelona on Wednesday, but did not reveal who was hired for the job. He said the new role stemmed from growing anxiety within the company. We have reached out to Bank of America for comment on the new position. 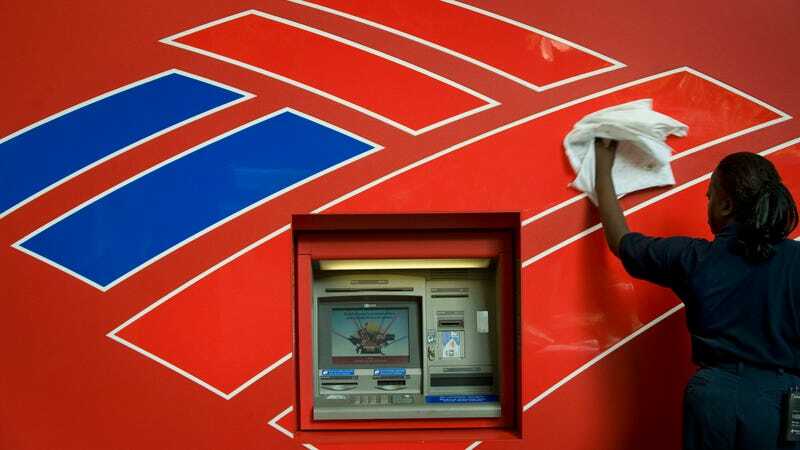 The Bank of America executive also said his company plans to hire a “cultural anthropologist” to focus on customer behavior. Paskalis said he applauds Unilever’s recent threat to pull ads from the major platforms. While this is a proactive effort to save the company from upcoming publicity clusterfucks, Paskalis is framing it as a virtuous decision. “It is a function of the marketer to hold to account the individual platforms to get better,” Paskalis told the audience.